When we think of higher education, most of us visualize the traditional four-year university. However, that isn’t necessarily the best choice for everyone. With student loan debt as one of the biggest problems our country is facing right now, spending four years improving your education, just to end up in crippling debt, may not be the best investment you can make. Traditional students will spend years in a program that only marginally prepares them for their prospective job field, just to finish with a sizeable loan that is often greater than their potential salary. What if there was another option? What if you could learn the skills you need, train for the job you want, and start your new career in just a few months? In the time it would take to complete your first history class, you could already be working in your field. How is this possible? Vocational schools focus on practical application of a trade; creating qualified and competent professionals in a fraction of the time as traditional schooling. They offer specific job training for a wide variety of skilled careers for electricians, HVAC, technicians and dental assistants. Only nine weeks of study will have you qualified and ready to work as a certified pediatric dental assistant. By using hands-on training and focusing exclusively on the skills you need, you could start a rewarding career in just a few weeks instead of a few years. 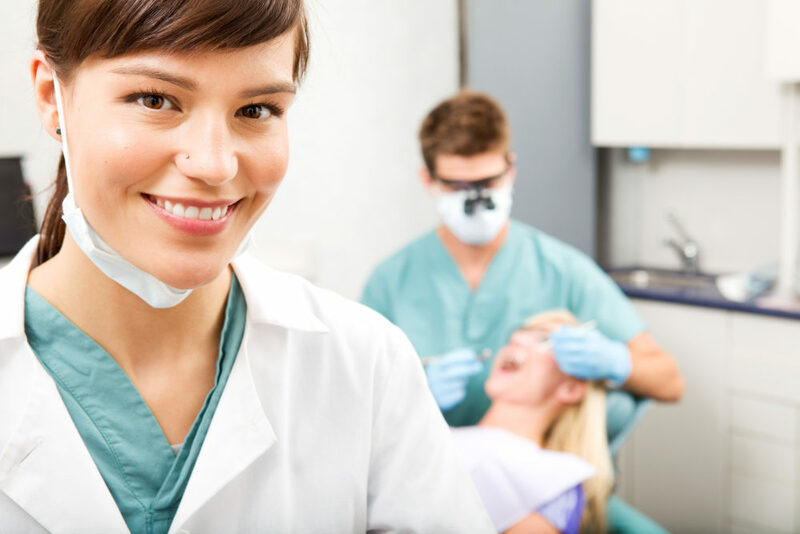 Pediatric Dental Assistant School can set you on a new career path, today! Still on the fence? Visit our testimonials page and hear what our students have to say! Ready to start your next life adventure? It’s not too late to register for our current class. Click here to register, now.